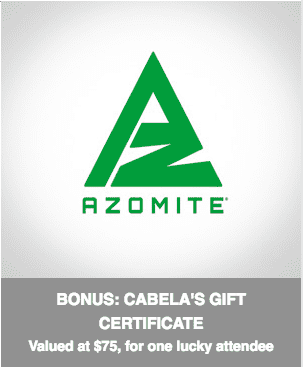 New findings on how AZOMITE® volcanic ash fertilizer can impact specialty crop yield, quality, and your bottom line. 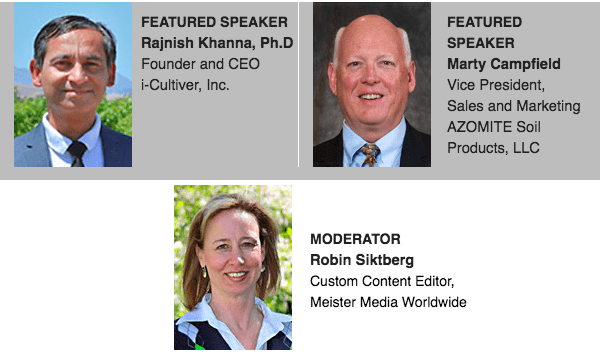 Learn and interact first-hand with Rajnish Khanna, Ph.D., Founder and CEO of I-Cultiver, Inc., about the latest findings on how Azomite volcanic ash fertilizer impacts specialty crop yield, quality, and ROI (return on investment). He will review research results and ROI discoveries on potatoes, tomatoes, and peppers. Marty Campfield, VP of Sales and Marketing with AZOMITE Soil Products, LLC will explain how leading ag distributors and specialty crop growers are using this information to add Azomite to their product blends, compost applications, soil fertilizer applications, drip irrigation and foliar feeding practices to boost return on investment.